Searching for high quality carpet cleaning in Escondido, CA? Chem-Dry of North County is the answer for you! We're a professional carpet cleaning service that provides a deeper, longer lasting clean and a healthier home. Our customers in the Escondido, CA communities that we serve have become long-time, satisfied clients. With over 20 years of experience, you can trust our professionally-trained, hard-working and friendly technicians to understand your specific needs and provide a cleaner, healthier home for you and your family. While Chem-Dry of North County is based in Escondido, CA, our professionally-trained technicians also service cities including San Marcos, San Diego, Rancho Santa Fe, Rancho Bernardo, Poway, Mira Mar, Vista, Oceanside, Coronado, Valley Center, Pauma Valley, Fallbrook, Carlsbad, Poway, 4S Ranch, Rancho Penasquitos, Scripts Ranch, Encinitas, Solana Beach, and Del Mar, CA. Don't forget, when it comes to high quality carpet cleaning in Escondido, Chem-Dry of North County is your best choice. Our goal is to provide you with a clean and healthy home. Our hope is that you become a long-time client for years to come. We are proud to serve this Escondido, CA community with industry-leading services. Get Your Free Carpet Cleaning Estimate Today! Contact us to get a free estimate and request a service appointment. Chem-Dry of North County will contact you to discuss your needs, provide you with a no-obligation estimate and can begin the cleaning process at your convenience. Why choose Green Carpet Cleaning in Escondido, CA? Green carpet cleaning is important to invest in, especially if you have young children or small pets in your home. 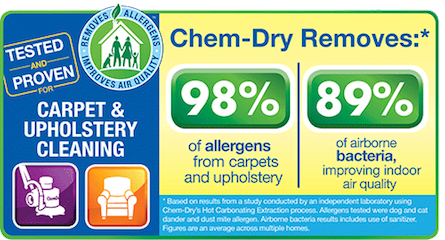 Unlike other carpet cleaners in Escondido, CA, Chem-Dry of North County doesn't use harsh chemicals or detergents that could potentially be dangerous for those in your home. Chem-Dry of North County cares about your home and the environment, that's why we have around 50 Certified-Green cleaning solutions that are healthier for your whole family. Why choose Chem-Dry of North County instead of a Steam Cleaner? Traditional steam cleaners use steam and water to clean, leaving your carpet damp for 1 - 2 days. Chem-Dry of North County uses Hot Carbonation Extraction to lift dirt, bacteria, and stains from your carpets These millions of microscopic bubbles dig deep into the fibers of your carpet, using 80% less water than steam cleaning, and leaving your carpets to dry in 1 - 2 hours! This is better for the environment, and saves you time in your Escondido, CA home! Does Chem-Dry of North County offer Carpet Repair? Yes, the technicians of Chem-Dry of North County have an array of tools and methods that can be used to repair your favorite carpets. Although each carpet is different, we will do all that we can to restore your worn carpets in your Escondido, CA home. 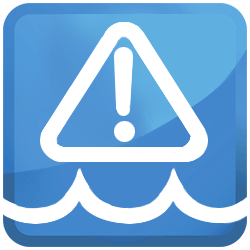 What areas does Chem-Dry of North County serve? Based in Escondido, CA, our professionally-trained technicians here at Chem-Dry of North County service cities including San Marcos, San Diego, Rancho Santa Fe, Rancho Bernardo, Poway, Mira Mar, Vista, Oceanside, Coronado, Valley Center, Pauma Valley, Fallbrook, Carlsbad, Poway, 4S Ranch, Rancho Penasquitos, Scripts Ranch, Encinitas, Solana Beach, and Del Mar, CA. 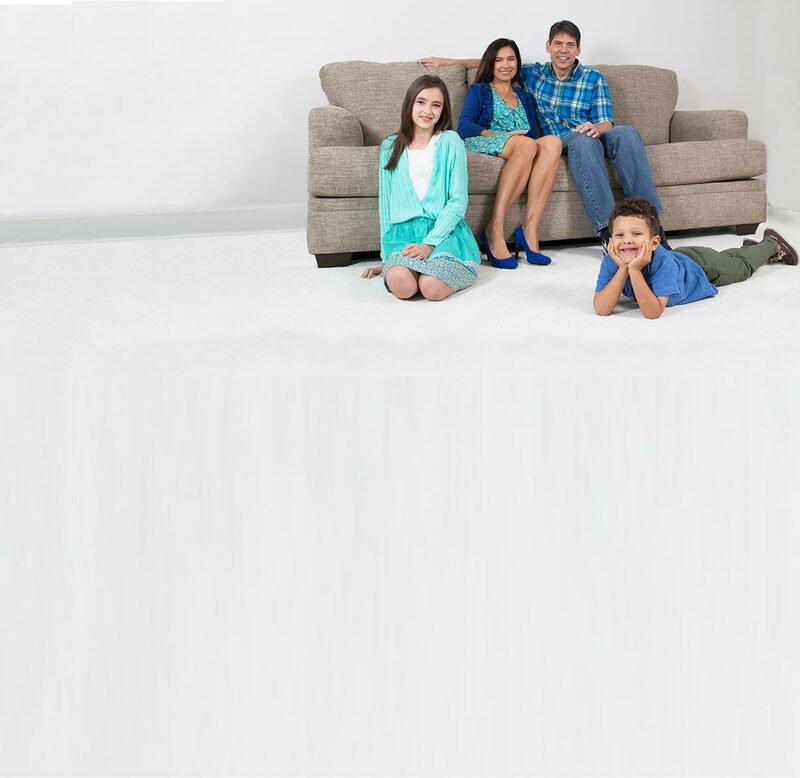 Chem-Dry of North County offers professional carpet cleaning that's safe for your whole family.